As part of its ongoing drive to support and celebrate homegrown design-talent, kid’s fashion trade show Bubble London is offering UK-based brands the chance to win a one-week pop up at Boxpark, the revolutionary Shoreditch pop up mall. 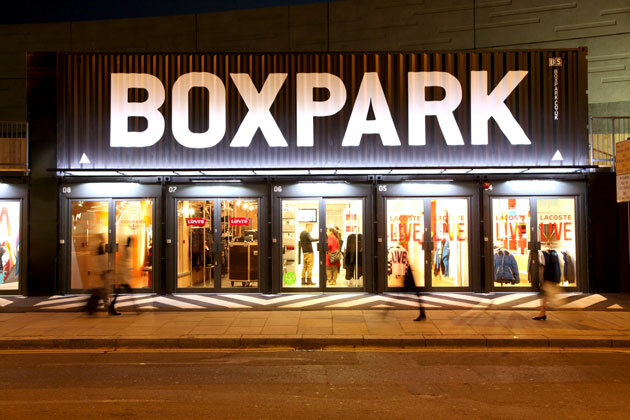 Bubble and Boxpark are joining forces to launch a new competition, which will afford one lucky brand the opportunity to showcase its product in a unique ‘Box Shop’. The 300 square foot store comes fully equipped with cube shelving, lighting, heating, air conditioning and free Wi-Fi, as well as changing and stock rooms. The winning brand will also benefit from PR and marketing support, and their own newsletter to Boxpark’s database. To qualify, entrants must be exhibiting at the Spring/Summer edition of Bubble London (13-14 July), be based in the UK, have been in business for more than one year, and have some previous retail experience – or, the desire to have direct consumer experiences. Representatives from both Bubble London and Boxpark will judge the labels on a range of criteria, including the creativity and innovation of their product, and the strength of their branding and marketing. Their previous experience, key achievements and direction and planning will also be taken into account. The winner will be announced in the run-up to the show, and will open its pop-up at Boxpark’s earliest availability.